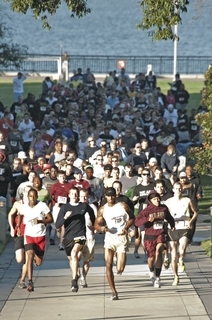 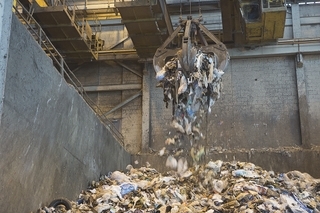 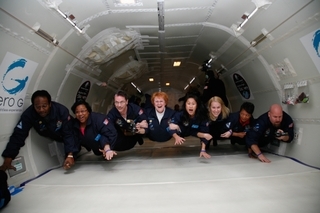 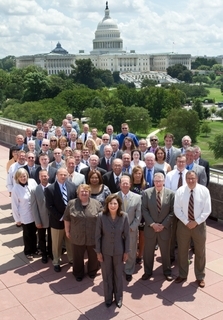 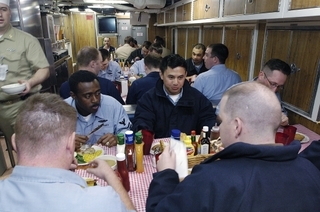 (Left to right) U.S. 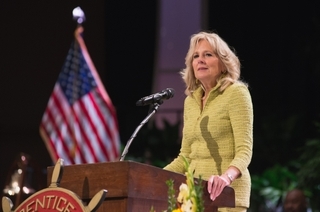 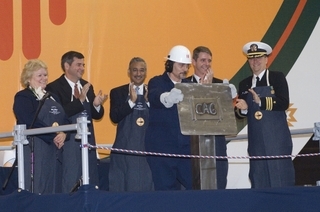 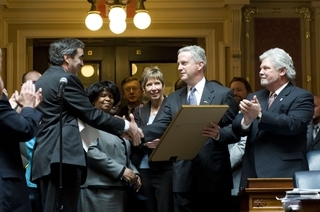 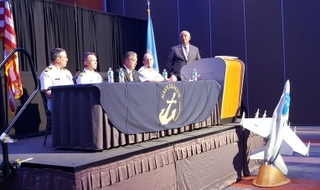 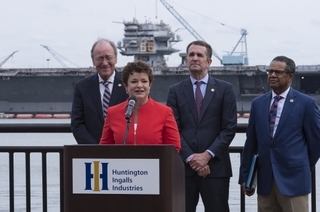 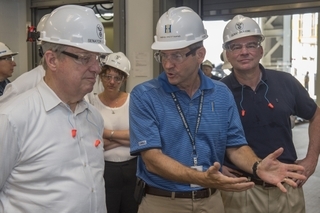 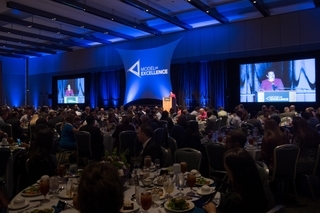 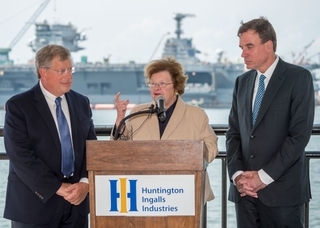 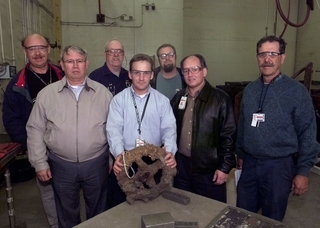 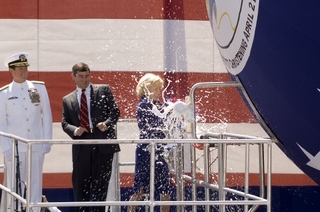 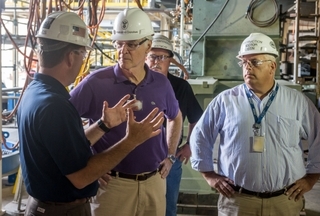 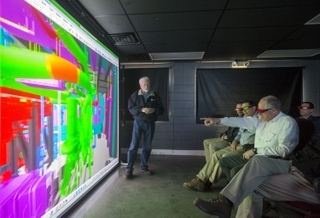 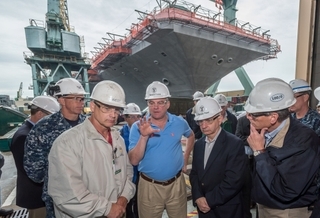 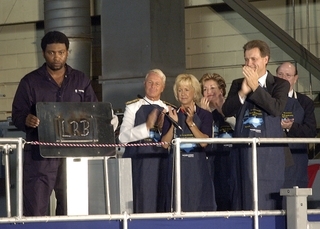 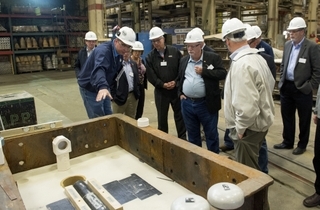 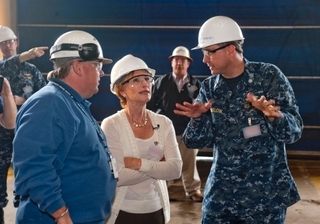 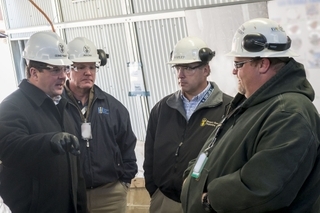 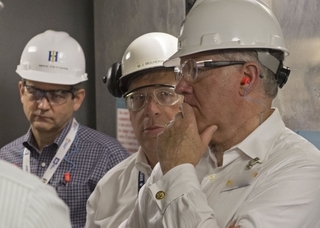 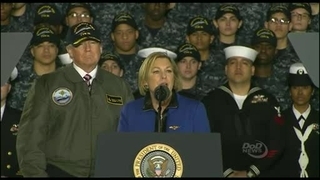 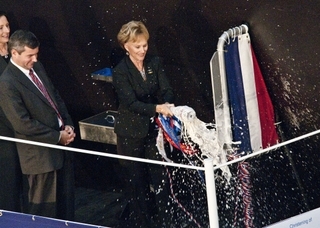 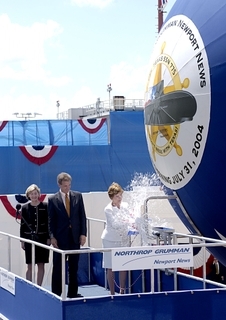 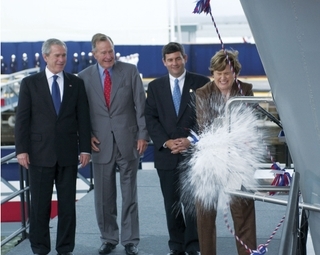 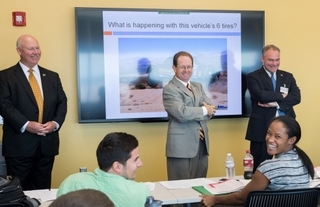 Senator Carl Levin, (D-Mich); Ship Sponsor Susan Ford Bales; Corporate Vice President and President of Northrop Grumman Shipbuilding Mike Petters; and Shipbuilder Robert Bowker. 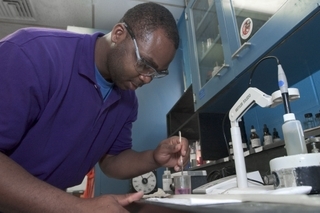 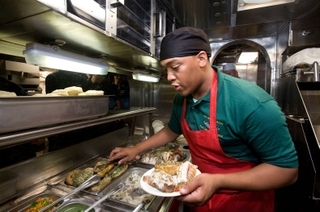 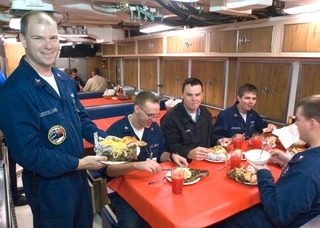 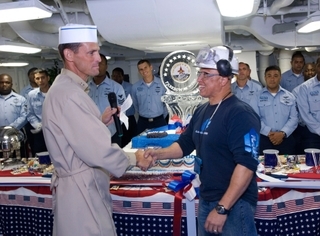 Seaman Mykal Martin helps serve the first meal on board the USS New Mexico, SSN 779. 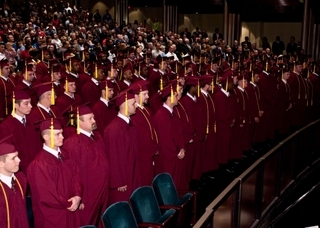 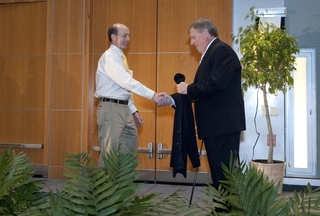 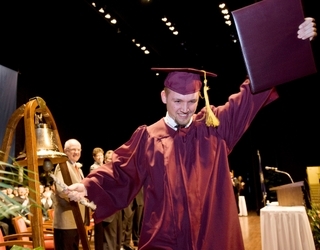 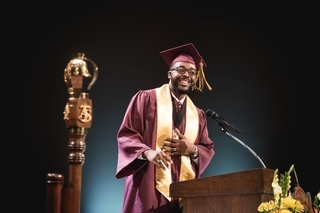 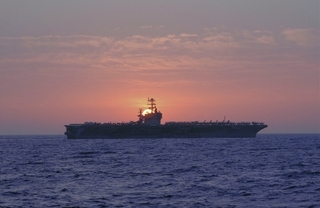 Photo by John Whalen. 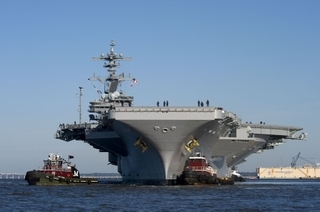 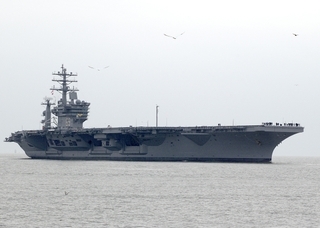 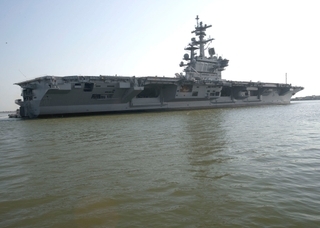 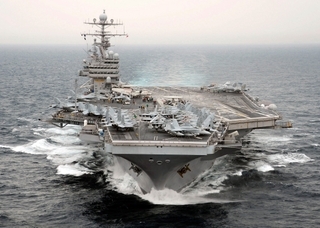 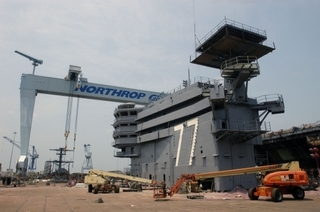 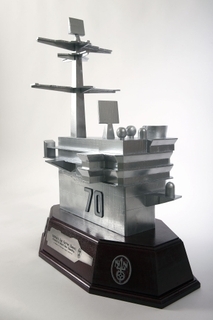 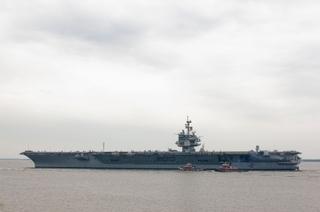 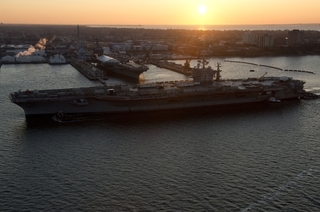 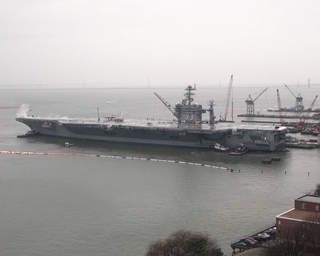 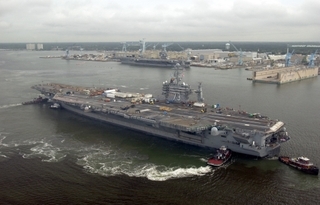 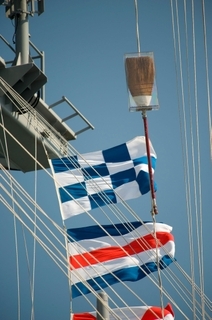 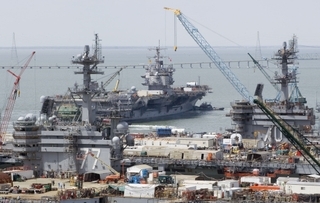 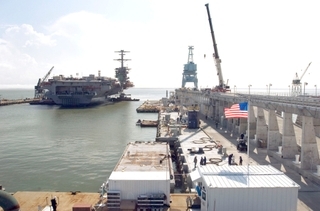 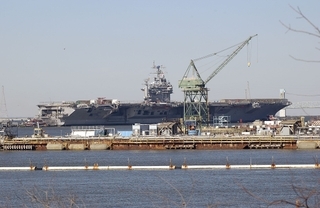 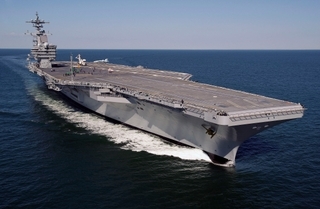 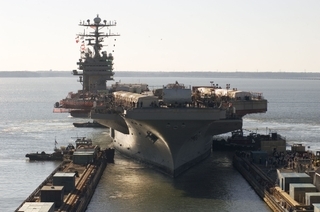 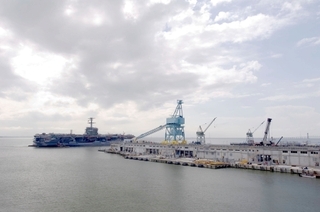 USS George H. W. Bush (CVN 77) will be returning to Northrop Grumman's Shipbuilding sector in Newport News, Va.
New Mexico is the sixth ship of the Virginia class. 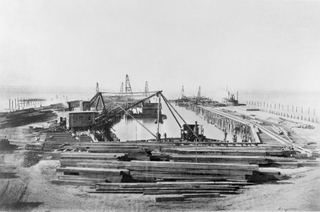 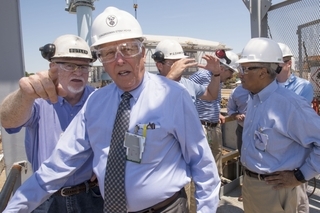 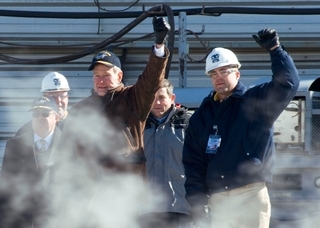 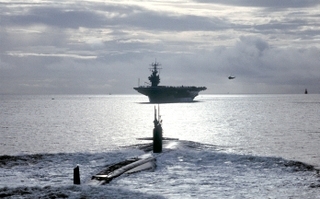 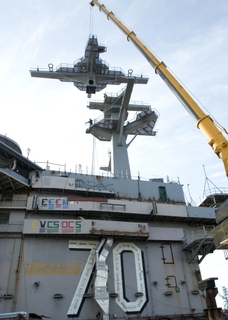 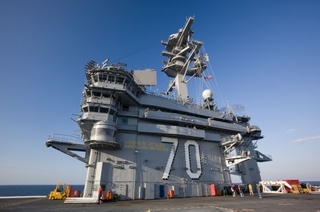 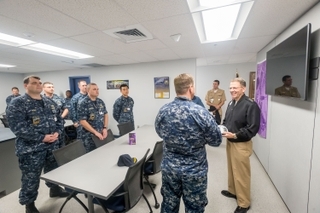 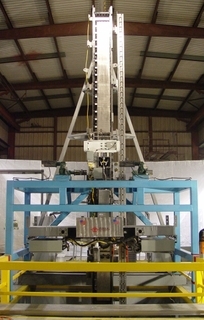 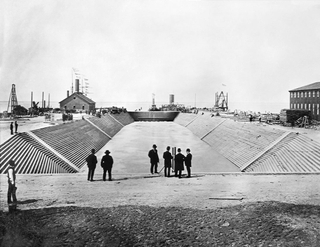 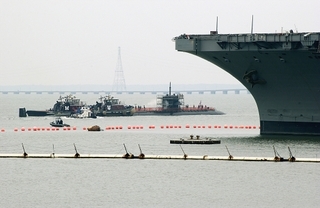 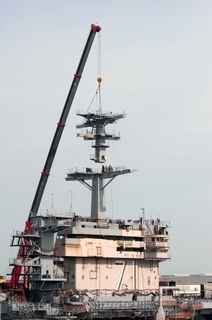 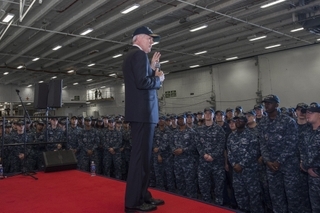 While standing on the George H. W. Bush's (CVN 77) 4.5-acre flight deck, President George H. W. Bush and catapult officer Lt. Scott Coonan signaled for a "deadload" to be launched into the James River. 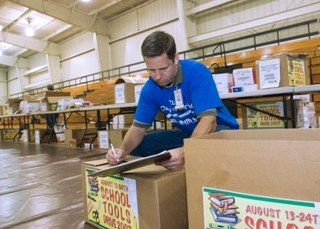 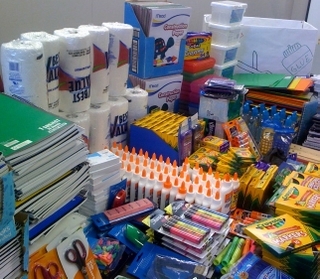 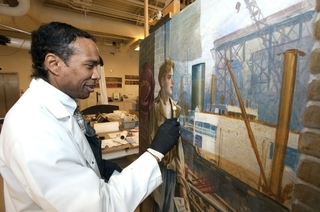 Northrop Grumman Newport News employee Gary Guye prepares boxes of "school tools"
Northrop Grumman's future-generation aircraft carrier, CVN 21. 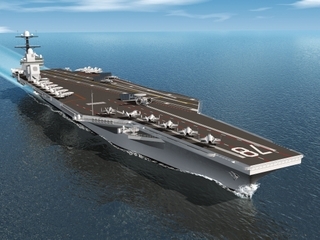 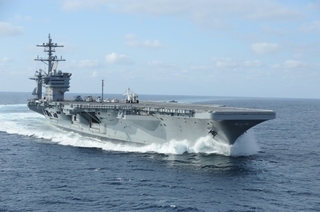 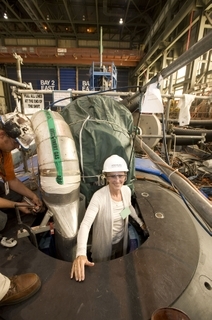 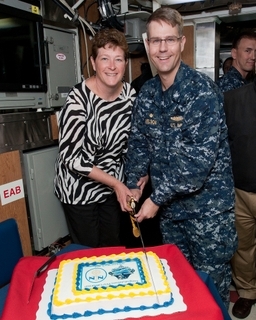 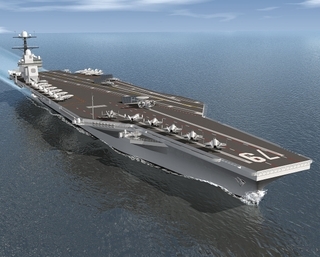 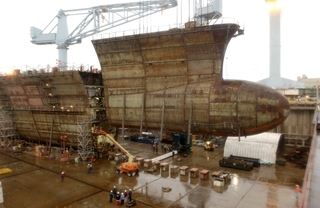 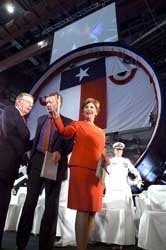 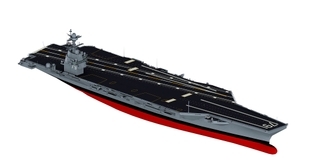 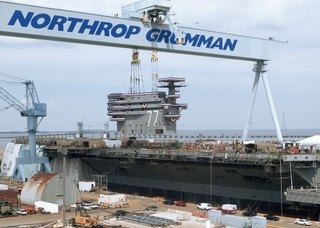 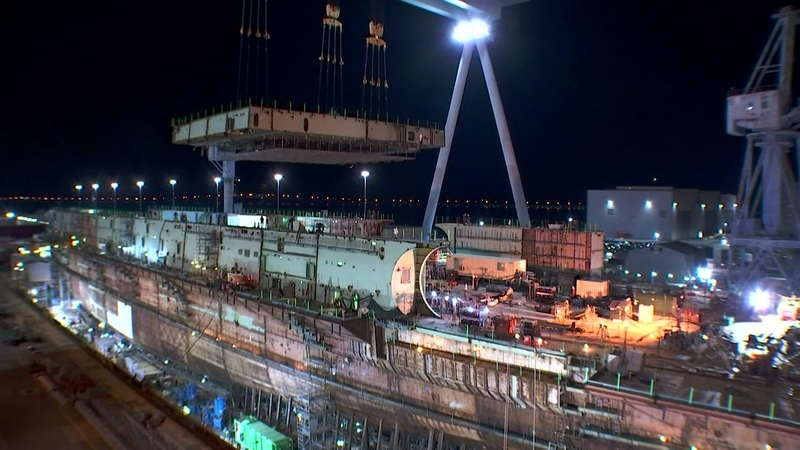 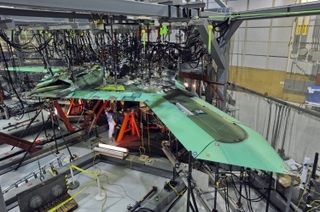 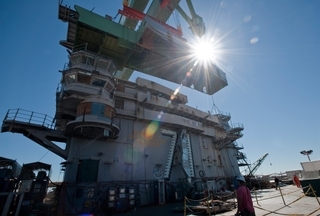 Northrop Grumman reached its first construction milestone in the life of the new-generation aircraft carrier, CVN 21. 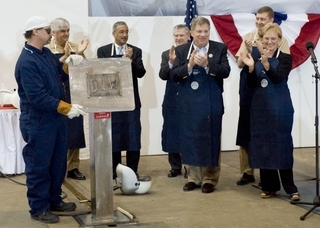 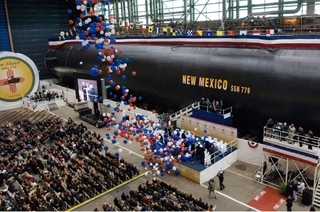 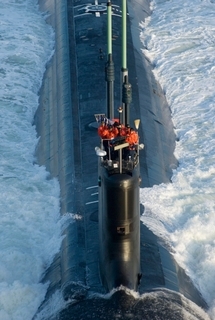 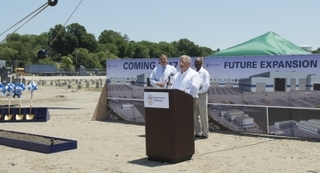 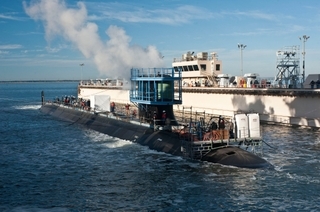 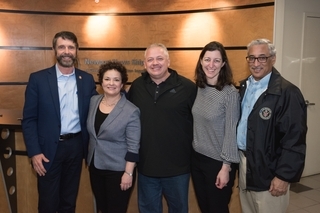 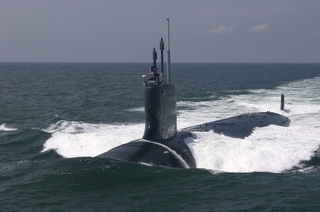 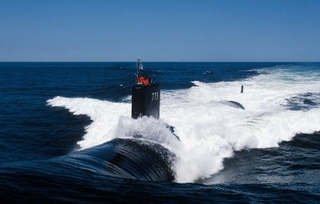 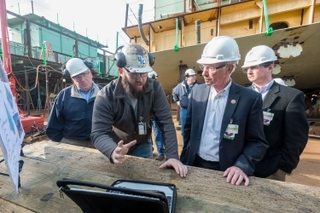 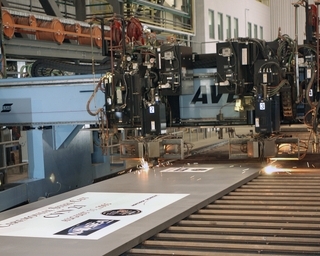 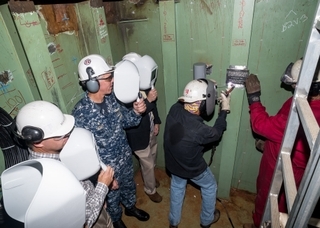 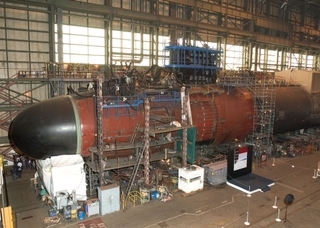 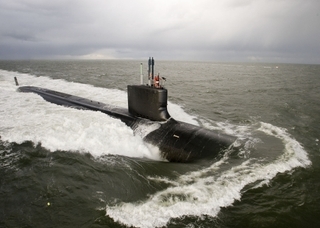 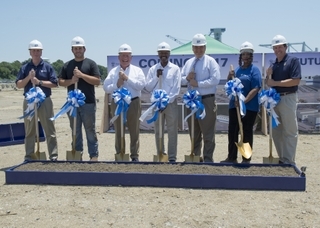 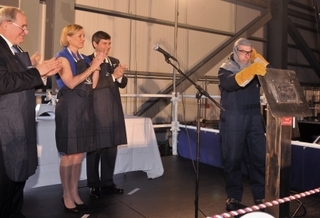 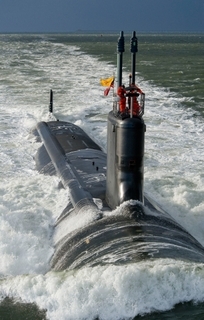 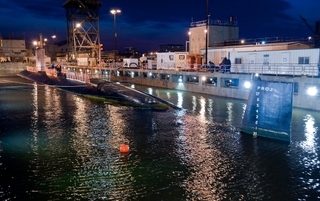 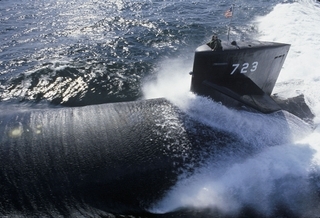 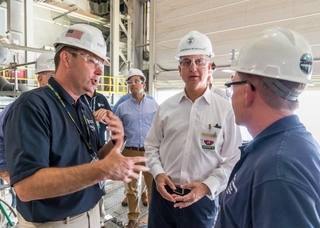 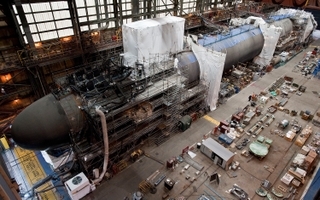 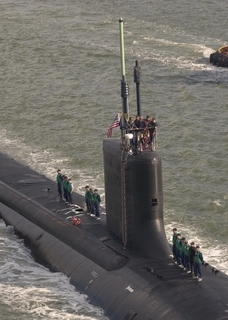 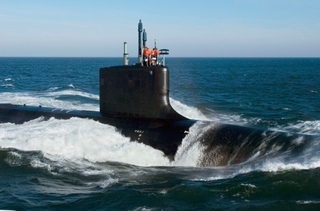 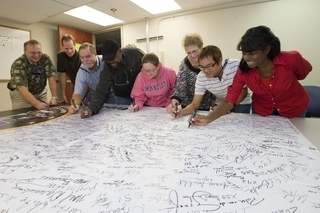 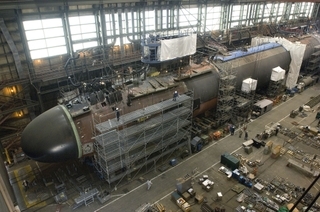 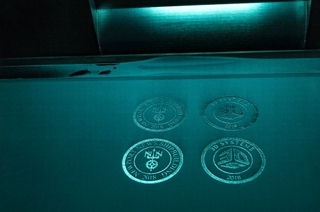 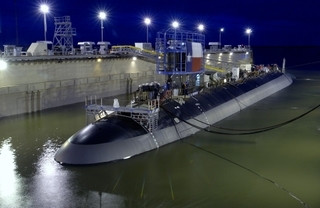 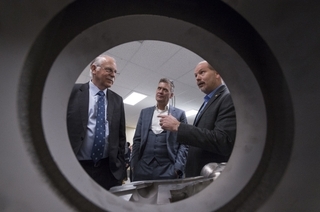 Northrop Grumman Newport News hosted a keel laying ceremony May 22 for the Virginia-class submarine North Carolina (SSN 777). 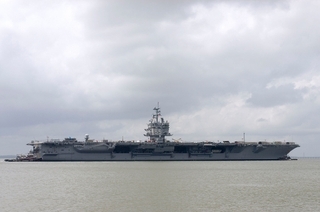 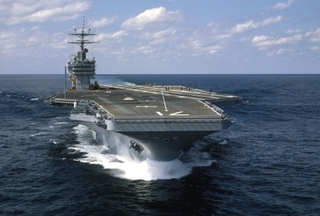 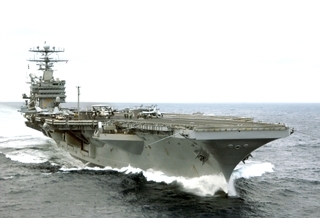 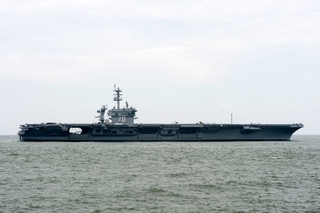 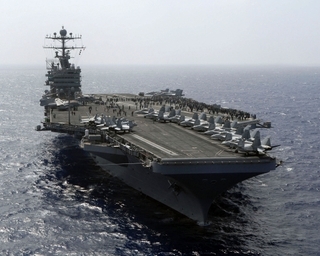 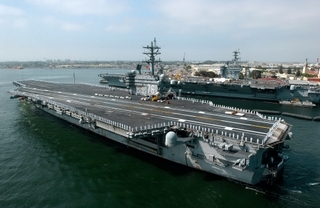 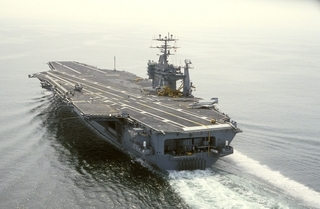 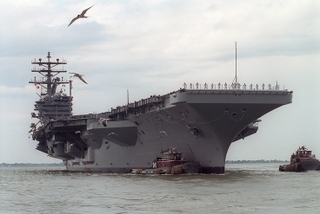 This Nimitz-class aircraft carrier was built by Northrop Grumman Newport News and delivered to the U.S. Navy in 1992. 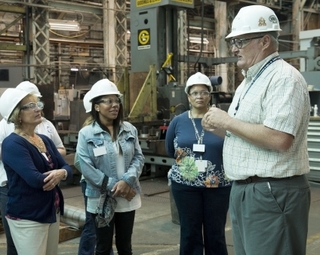 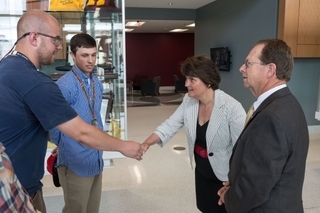 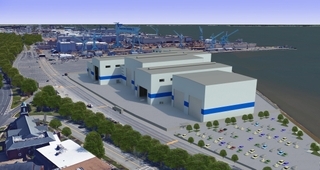 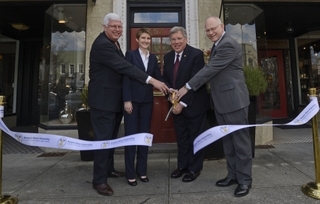 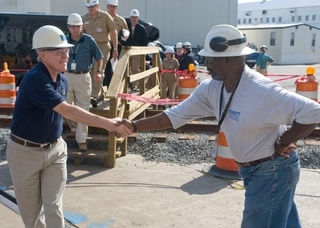 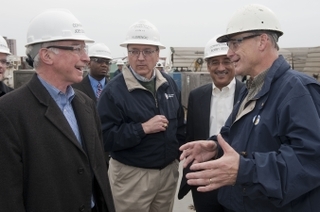 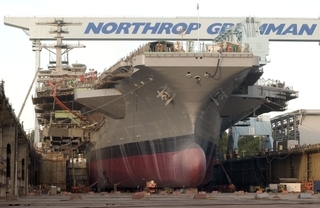 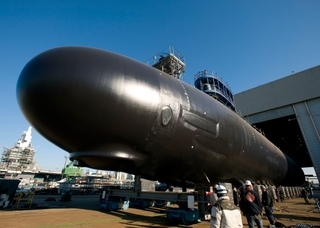 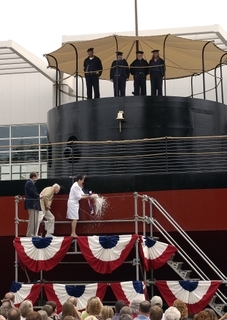 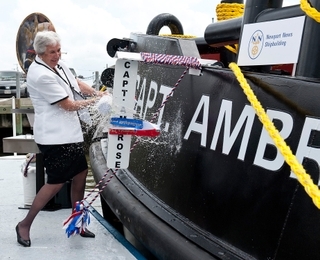 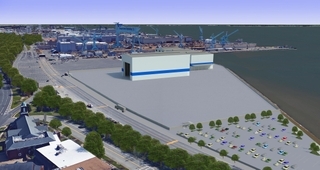 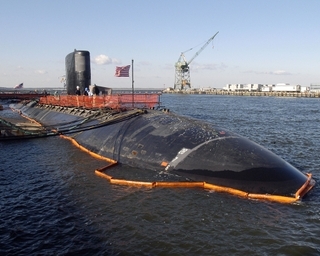 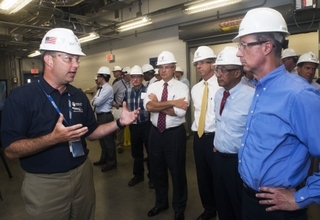 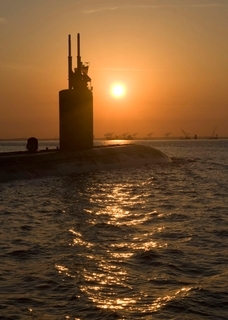 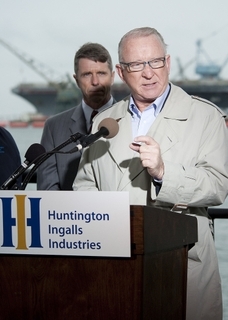 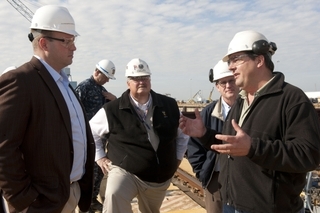 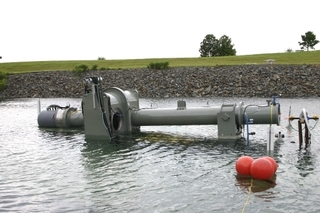 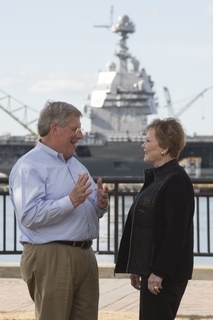 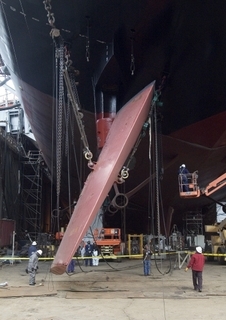 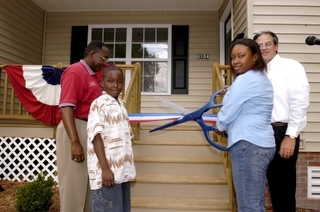 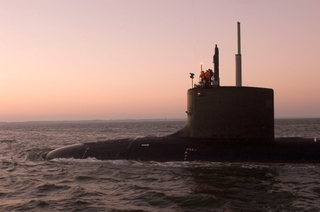 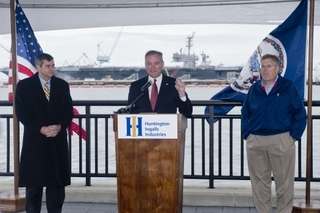 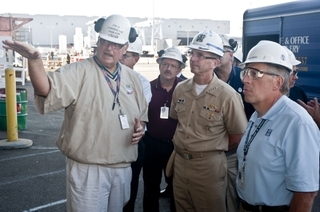 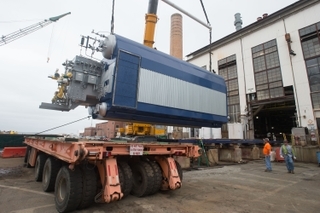 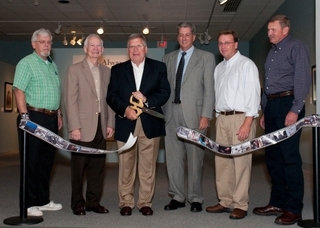 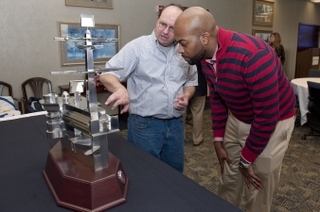 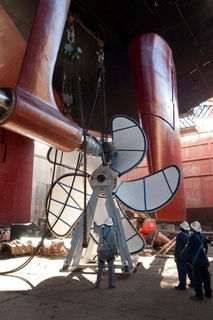 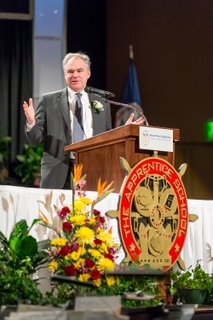 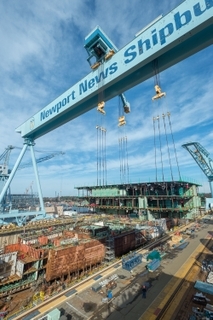 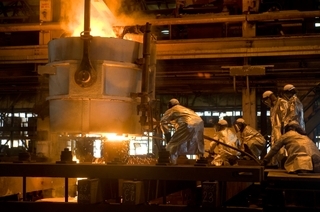 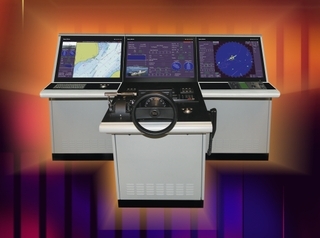 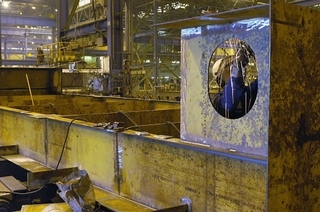 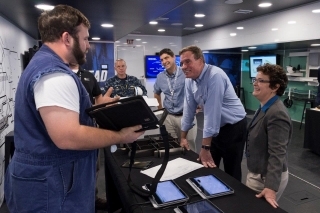 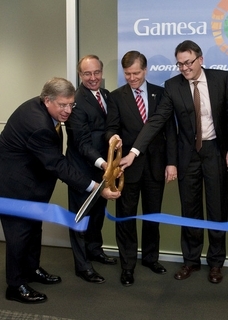 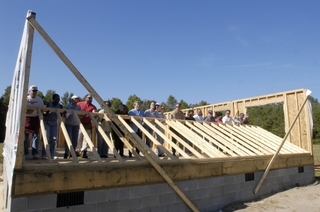 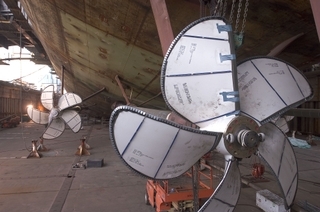 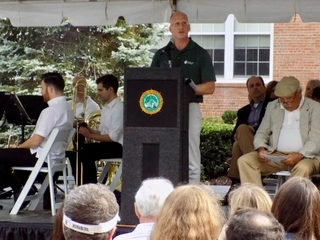 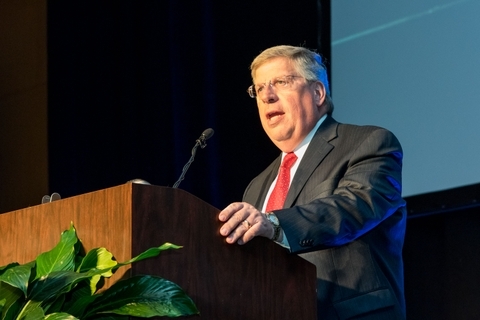 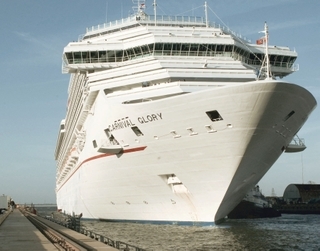 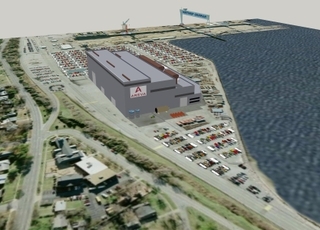 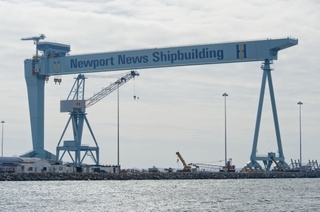 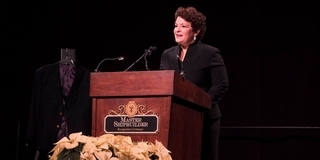 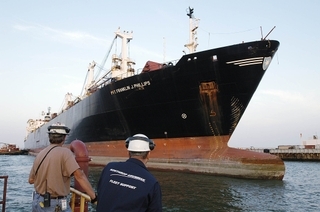 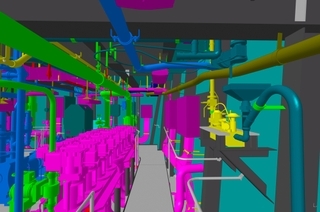 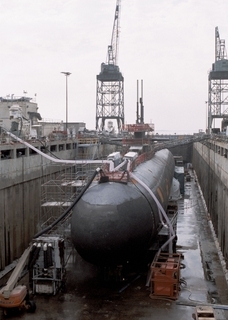 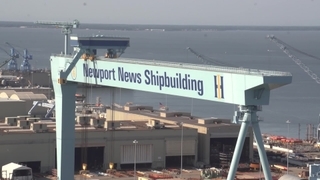 Newport News Shipbuilding Opens Office in Aiken, S.C.